The McLaren 720S. Now Available. 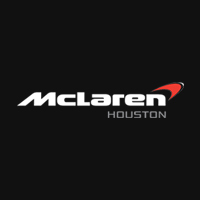 Welcome to McLaren Houston, part of a proud and distinguished Autosport racing heritage with an emphasis on precision engineering and uncompromising luxury. As the only McLaren dealership in Houston and one of only 16 in the United States, we recognize our mission to live up to and project the commitment to excellence that this world-class luxury brand offers. Take a tour of our dealership and you’ll find vehicles from the current new McLaren lineup, including performance luxury models like the McLaren 675LT Spider, McLaren 650S, and McLaren 570GT. If you’re in the market for this level of elite, world-class supercar, though, there’s a good chance that you would prefer to customize your McLaren model to your exact specifications. Work with our team to personalize your McLaren to reflect your ideal vision of automotive performance and luxury. McLaren’s engineering heritage is one of a kind, designed and developed to the most precise specifications. As such, you’ll want to make sure to have the most highly developed team of factory-trained and certified technicians on hand to take care of all your McLaren service needs. Our service center has the most advanced equipment available, as well as a comprehensive selection of authentic McLaren parts on hand. So whether you need a standard oil change or you need major repairs, rely on our team to take care of it with the utmost care. McLaren Houston is here to serve the driving needs and desires of those who insist on the most elite levels of performance and opulence. Make your way to see us at 16210 North Freeway in Houston, TX, or reach out to us with any questions at any time.